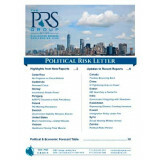 Political Risk Services Country Reports for 100 countries, each expertly assesses potential political, financial, and economic risks to business investments and trade. PRS Country Reports provide risk forecasts and analysis based on the world-renowned Coplin-O'Leary Rating System, the original political risk rating system, including alternative regime scenarios. An online subscription includes our Flash Forecasts. To view a sample Country Report Click Here. Scroll down to select the most recent version of each report available (all 100 are updated and revised throughout the year). 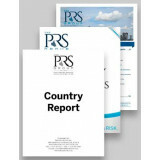 Country Reports are the same price online, in print, or by e-mail as PDF files. The print version includes two choices for shipping/handling fees, depending upon delivery location. Appropriate taxes apply to all versions. Back issues of individual Country Reports are also available (inquire about details). 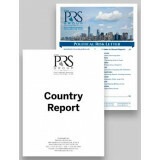 If you need more than one Country Report, individual reports are greatly discounted when you choose to purchase a World Service or a Regional Service, or contact info@prsgroup.com for special discount prices if you wish to purchase more than one Country Report. NOTE: This product is priced for use by a SINGLE USER ONLY. By purchasing it the user acknowledges an understanding of this. Usage can be easily expanded by contacting PRS at info@prsgroup.com or +1-315-431-0511 for a multi-user license (including campus-wide). Online access to the report(s) for one year, including access to a PDF file of the report(s) to download. 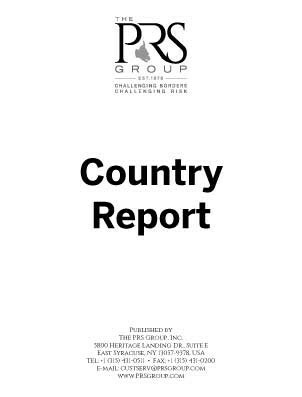 Country Reports in PDF format. Printed and bound report(s) delivered by post or courier.